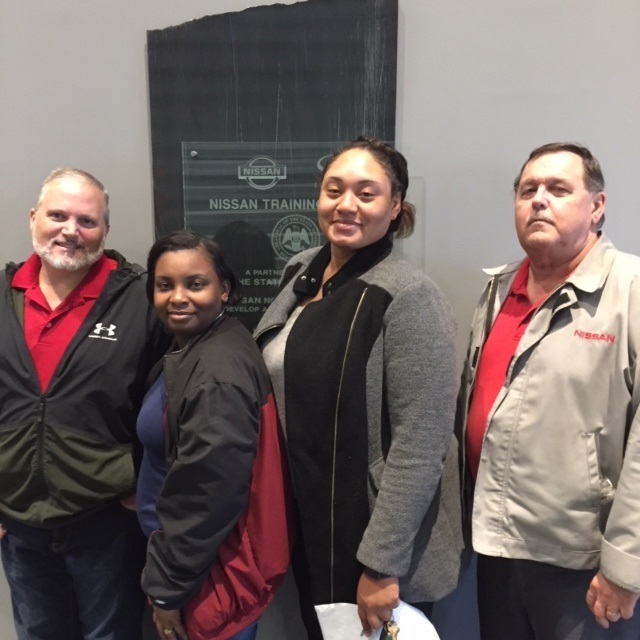 The teachers of Brinkley Middle School would like to thank the Mississippi State University State University CAVS Extension Program for the opportunity you have given us to shadow different job sectors at in the Nissan Training Center and Nissan Plant. The STEP Job Shadow Program was very enlightening as the experience to learn about how building a car plays an important role in science and technology. The STEP Job Shadowing Program showed a lot of different experience for us. First, we had a chance to sit in the Six Sigma Problem Solving class where we watched different companies talk about issues occurring that was hindering productivity and sales. It was very interesting because we were able to view a pharmaceutical company in Mississippi that was having problems with productivity. They had to find the issue, assess, and formulate a solution. We as teachers need to use problem-solving assessment base and activities to develop those skills to gain a successful outcome in the workforce for entrepreneurs and employers. Next, we got a chance to sit in an electrical class, which was taught under Brandon, as they learn to wire a motor and each person was in class drew the layout of the flow of energy when the start and stop button is pushed. The electrician instructor, Brandon, wrote the layout on the board. The students drew the layout on paper. After they drew it, they proceed to the module and wired the motor with the data that was given. We learned that students should be able to use the instruction given and apply it to an activity that relates to the lesson. Application, reading instructions, and following directions are skills that are needed to be developed in the classroom to gain a great job in the same range of a professional. Next, we got to observe Hank's training session as he trained employers before they head to the floor of the Nissan Plant. They had to multitask, read instructions, apply the instructions, and have efficient performance. They had three hour time block to complete the task that was given on the screen. It was a new module that they were testing. We were finally able to see it being applied as employers put cars together on the line. Lastly, we toured the Nissan Plant. We observe the production simulation line, and we watched how each Nissan vehicle is assembled. Our overall experience was amazing. We were relieved to know that there are jobs ready and available for students that are looking for short-term alternatives rather than going to a four year college. College is not for everyone. We have to understand that there are different routes when it comes to education and training. There are many short-term careers that our students are not aware of, and Nissan also do in-house training for those who are seeking other trades such as an electrician. Our jobs as educators are developed skills that will prepare them for the workforce that will be valuable to the Nissan. We are determine to bring back the knowledge we received from the STEP Job Shadowing Program (10/24-25/18) to inspire the next generation of future employees.